NHL head coach who set the Vancouver Canucks record as the all-time winningest coach before leaving to join the New York Rangers in 2013. 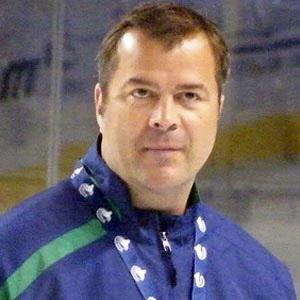 He was drafted in the 1981 NHL draft and played in the QMJHL and CHL before starting his coaching career in 1997. He earned his first Jack Adams Award, as the NHL's coach of the year, with the Canucks in 2007. He has two daughters, Andreane and Janie, with his ex-wife. He coached Ryan Kesler on the Vancouver Canucks from 2004 to 2013.